Russell Savory can say shooting is part of his daily routine. 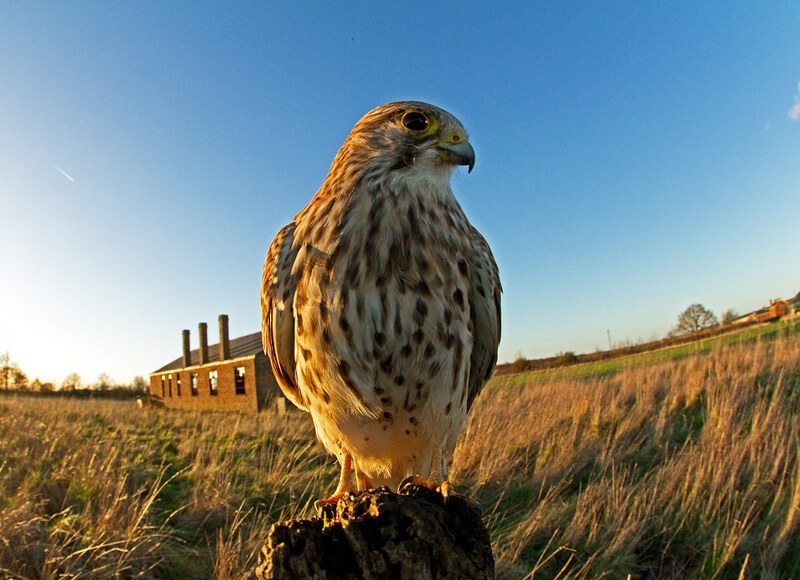 Ever since 2008, he has made it a habit to explore the Stow Maries Aerodrome -- the only remaining Royal Flying Corps aerodrome in Essex, U.K. During his explorations at sunrise and sunset, he carefully observes and photographs the wildlife that thrives in the area. I live in Hertfordshire [United Kingdom], but I take my wildlife photos pretty much exclusively at a disused World War I aerodrome, Stow Maries, in Essex, U.K.
I’ve been taking photos for many years. I started by taking aerial shots of yacht racing, and have covered many other subjects, but now I specialize in wildlife photography. My daily morning and evening tours of the site are amazing, I never fail to be surprised at the variety of wildlife we have here. To date we have 23 red-listed birds recorded. 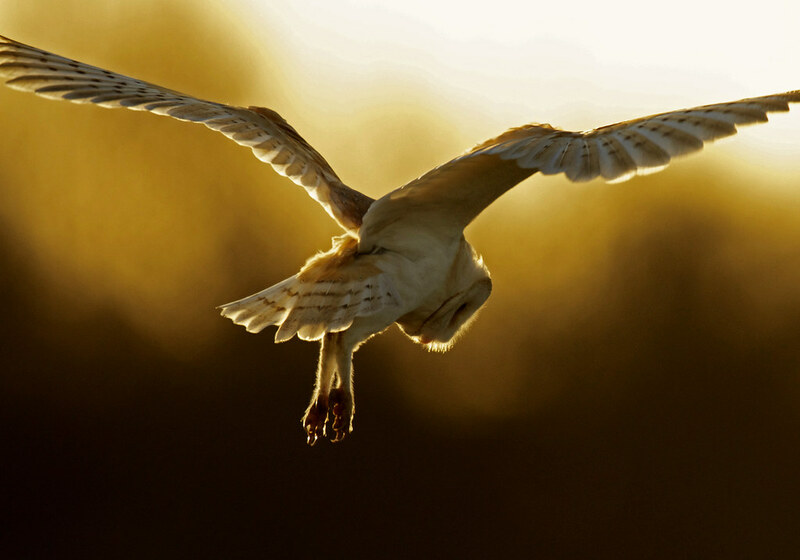 In the winter months we can boast all five species of British owls. The wildlife has become accustomed to my daily rounds, enabling me to get very close and capture some of those hard-to-get images. I’ve learnt to have endless patience and find that time flies past at an alarming rate whilst waiting for that special shot. A great start to my working day. What types of photos do you specialize in? Although I have another business at the moment, I would like to shift my focus to photography and wildlife, which I am passionate about. I have now set up a website to sell my photos (www.russellsavory.com) and am hoping this will be the start of big things to come. I use a Canon 7d and when I have the opportunity to borrow one from a friend, a 1DX body with Sigma lenses (especially a 300-800mm and 120-300mm for wildlife shots, a 150mm for macro photography and a 10mm fisheye for remote work). I also use a Hahnel Giga T Pro II and the Combi TF for remote photography. Can you take us through some of your different methods for setting up shots? When taking remote shots I usually set up my camera by a post or other feeding station where I am (usually) sure the birds will land. I then wait for the action to happen and hope that it happens as I anticipated, so I can grab the shot. Wildlife being what it is, there is no certainty that I will get the shot I want. I have spent many hours (even days) waiting for something that never happens! 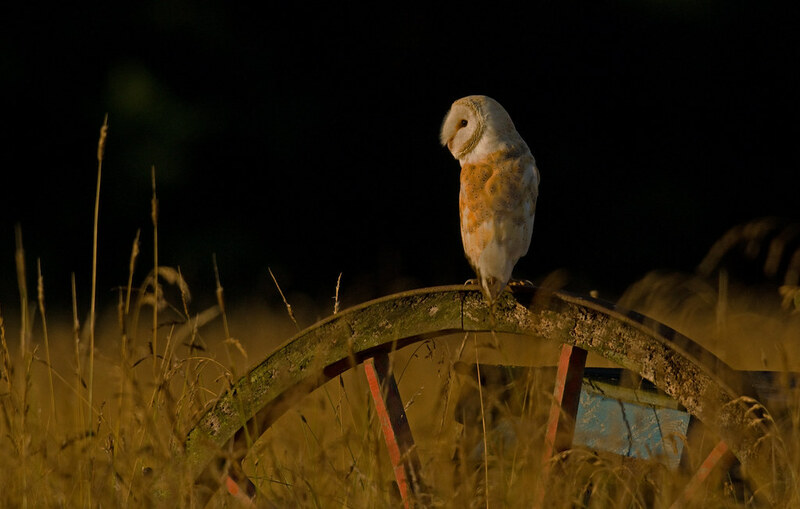 The shot I took of the barn owl on the wheel took me three years to achieve. I also place small metal sheets at the base of some of the posts for schools to investigate voles and wildlife under. The raptors have also discovered them, so are attracted to the posts because of what might lie under the metal sheets. This was purely coincidental, but has helped enormously. As far as the set-up goes, I use the sigma 10mm fisheye with a preset focus, operating between F8 and F11 if the light allows, activated by my remote gear (as described above). It did take quite some time for the birds to become accustomed to a camera being close by, but I have been doing it for a number of years. I started doing it by placing some dummy boxes on posts next to the actual post, so the birds can get accustomed to something being there. That in itself took some time. All my photographs are of wild birds — the photograph you refer to is of a female kestrel who does frequent the site, but does disappear for months at a time, and I’m never entirely sure when she’s going to be here. She was a particular kestrel that I took interest in due to the fact that she had a tick on her eye which completely covered her eye, and I thought she might become blind and die. However, she pulled through and I used to watch her on a daily basis, so she became very accustomed to my morning and evening rounds. I do try to shoot with another camera when I am taking remote shots just to record the set-up, and to get another point of view and share with others how it’s done. 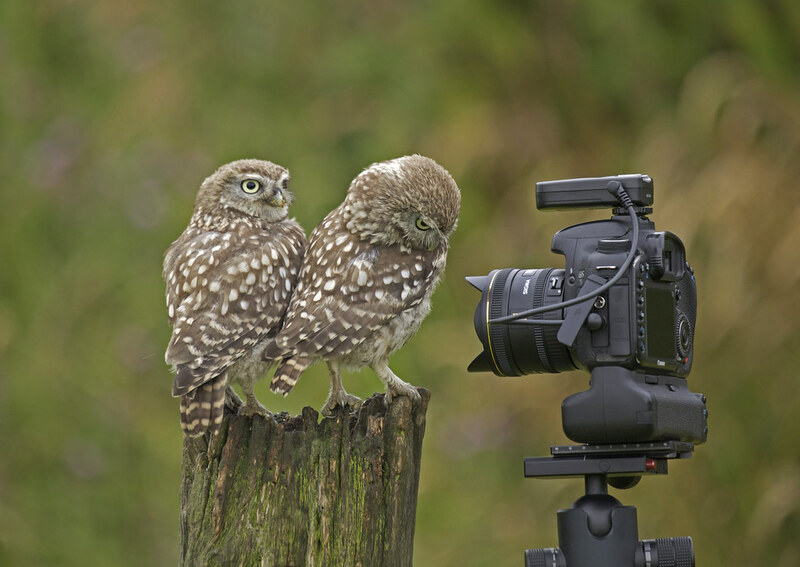 I have managed to get the little owls to take pictures of themselves by using a pressure pad. The BBC came down and filmed them doing this! I have the patience to do this because even if nothing happens, I just enjoy being in the environment and the rewards — when they come — are always worth the wait. The majority of my images are taken from a 4WD Subaru, which I drive around the aerodrome. One morning I heard a commotion and went to investigate. As always, I had my camera at the ready and this is the resulting shot. No planning, this was totally ad hoc as it happened. 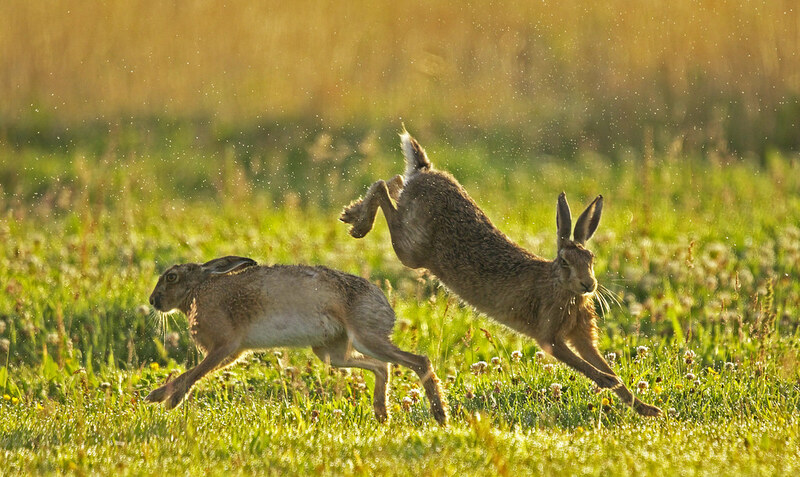 What are a few tips you can share with other Flickr members who want to take photos of wildlife? The name of the game in wildlife photography, regardless of your subject, is patience. Wild animals and birds are going to do what they’re going to do and you can’t ask them to perform for you, or move to some place where the light or background is better. You have to be there, and always be ready, for when they happen to be in the right place or displaying the behavior you want to capture. Then you have to be fast, otherwise chances are you’ll miss it. If you are not keen to get up early (the light is best at dawn and dusk), or you aren’t really interested in being outdoors, then wildlife photography probably isn’t for you. Be prepared to wait, and wait, and wait! But the waiting hours are not wasted time. The longer you spend with an animal or a group of animals, the better you get to know them and their habits. Also there is the possibility that they will become accustomed to your presence, which might allow you to get closer to them. Eventually you’ll get to the point where you can anticipate what they might do at a particular time of day or in a certain situation. This knowledge will eventually help you capture the images you want. The more time you spend getting to know your subjects, the more likely your images will be outstanding, as you will start to see things others don’t. Your passion will show in your photography. 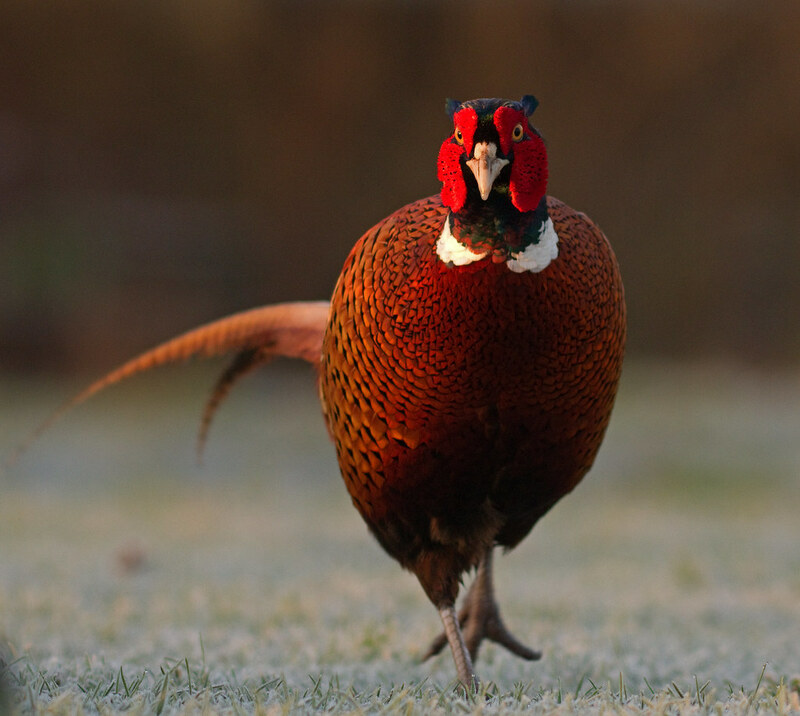 This is a pheasant. They are quite numerous on the site, and always lend color to the day. In their behavior, they are very much like a number of animals that are curious. If you lay on the ground they tend to walk toward you, just to see what’s going on. That was how I took that shot. I like trying new things and different angles, views and aspects of photography. 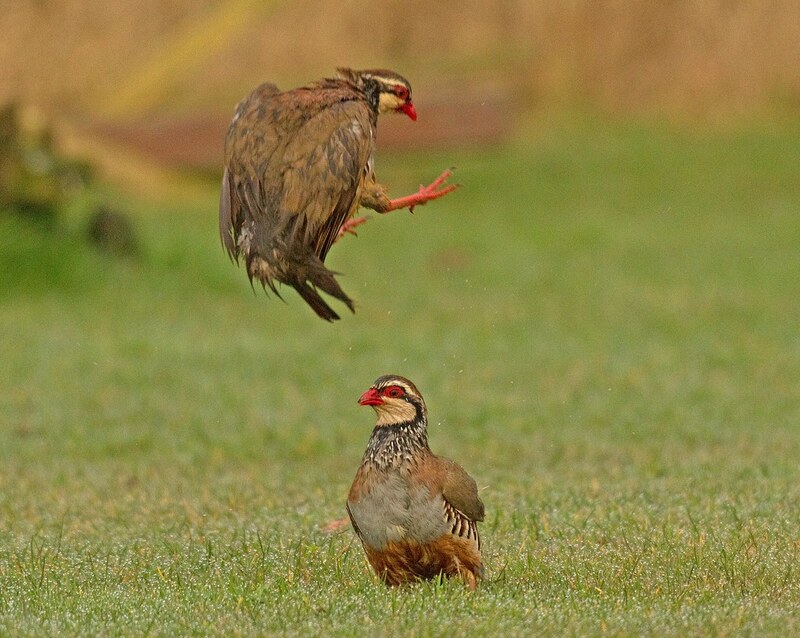 In this shot the pheasant is coming into its breeding season which is why it is displaying its ear tufts, which are not present the rest of the year. I like Flickr because it is easy to use. There are quite a few people who have visited the site at Stow Maries and want to keep in touch with the shots I am taking there. Flickr is a very good place for publishing my shots, and letting other people know what is going on here. I can also see other people’s shots and get inspiration and ideas from those. In my opinion it is one of the best photographic communities on the Internet. I still haven’t uploaded my best shot to Flickr, because I haven’t taken it yet. One day I hope to, but it’s always work in progress, and I am always trying to improve. Russell, thank you for answering our questions and sharing your work! To see more, please visit his Flickr photostream. 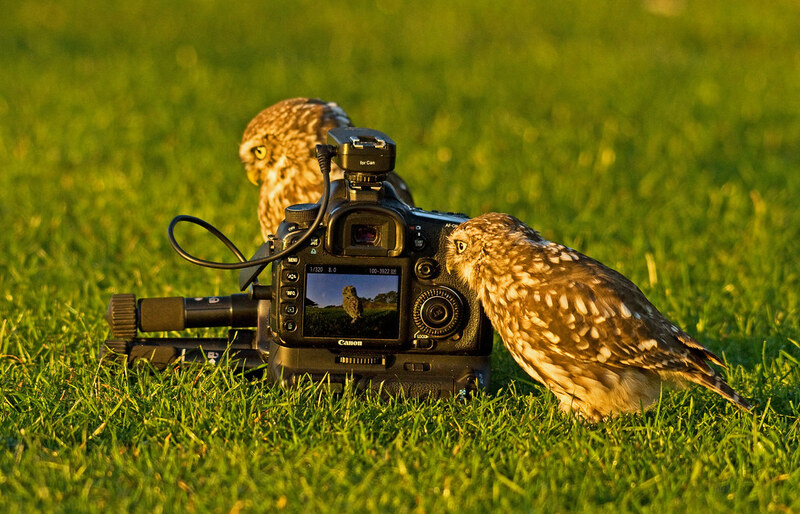 You really stepped up in sharing your fantastic photos of wildlife throughout the week. 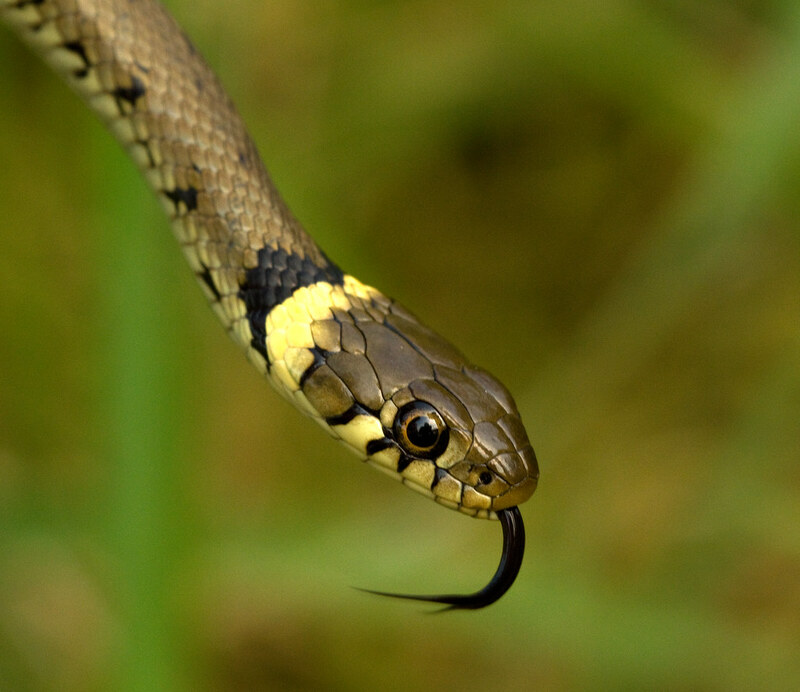 This time around for our weekly series, have a look at the piercing yellow eyes of a Long-crested Eagle, an elk family appreciating road-sign guidance, the insect known for decapitating its lovers, and a whole lot more. Click through to take a look at our Twitter Tuesday selection featuring our favorite contributions to yesterday’s Blur theme.